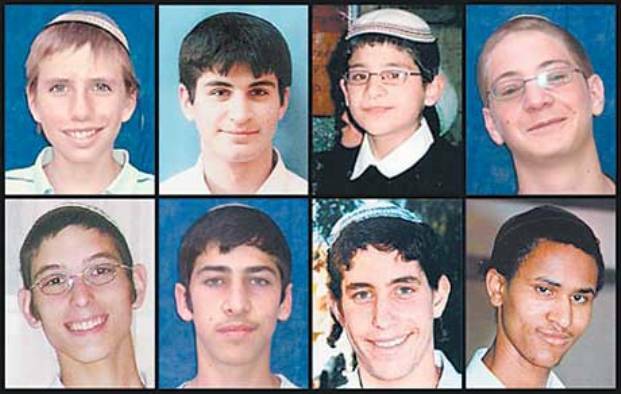 Yerushalayim’s Yeshiva Merkaz Harav recently held a memorial service to mark ten years since the terrorist massacre of eight of its talmidim in the yeshiva library on Rosh Chodesh Adar Beis 2008. Hundreds of talmidim, alumni and relatives participated in the event together with Chief Rabbi Dovid Lau, the rosh yeshiva, Rav Yaakov Shapiro and other distinguished rabbonim. Rav Moshe Mordechai Farbstein, rosh yeshiva of Chevron Yeshiva, delivered a memorial shiur at the yeshiva.